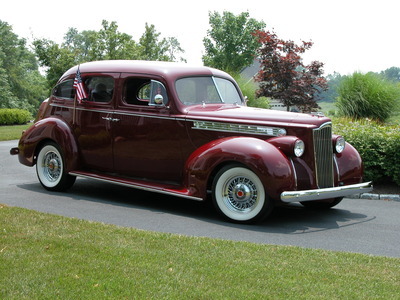 Packard For Sale: 1936 Packard 120B, 4 door sedan. All late model suspension with 4 wheel power disc brakes, power rack & pinion steering, 3.73 Ford limited slip rear end, new dual exhaust, GM crate 350 vortec engine with 4L80 trans, Vintage Air-heat with rear blower, AM/FM CD with bluetooth stereo, power windows, new vintage tinted glass, electric wipers with delay, power rear door locks, power seats, all new interior and trunk, power radio antenna, 6 Diamond Back extra wide radial tires, American Auto Wire wiring, Walker Radiator, air condensor, cooling components & electric fan, Flaming River tilt column, Haneline electric gauges with GPS speedo, plus more. THIS IS A GREAT STREET ROD TO GET IN AND ENJOY! IT DOES NOT HEAT UP DRIVING. ASKING $95,000. NO TRADES. Dave Stanley, Sevierville, TN. Phone: 865-604-6062. 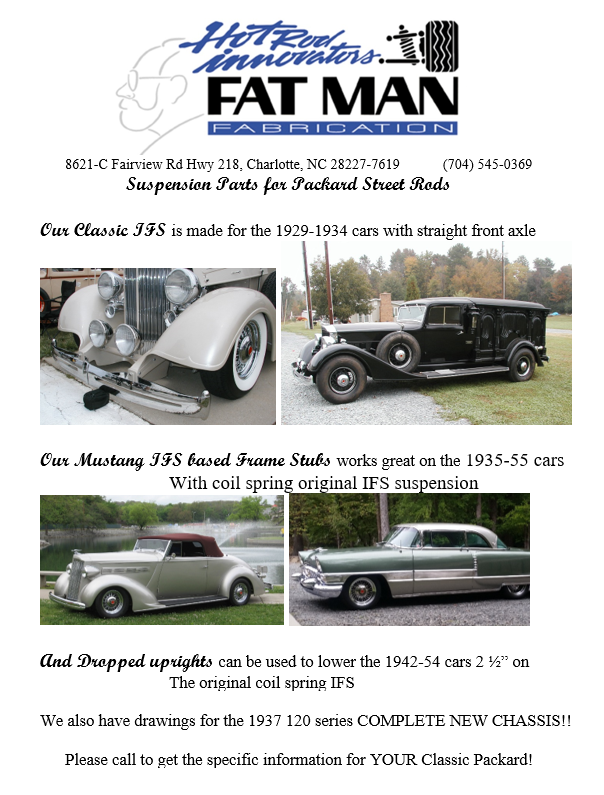 Packard For Sale: 1940 Packard 110, built in 1999, 9,567 miles, 454 Chev big block and 700 automatic overdrive transmission, 4 wheel disc brakes, a/c, good stereo, tilt wheel, power windows, 60/40 front seat, Nova front end, Firebird rear. It’s solid, no rust anywhere, you will not be disappointed. More pictures at goodguysclassifieds.com. $33,300. Contact Bill at 703-577-5974 or bill@kwleesburg.com. Hamilton, Virginia. 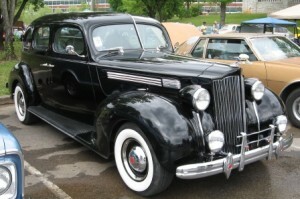 Packard for Sale: 1938 Super 8, 4-door sedan. 350 Chev engine, 700R transmission, 3.73 limited slip rear, 1990 Dodge Dakota front clip, power steering, power brakes, power windows. 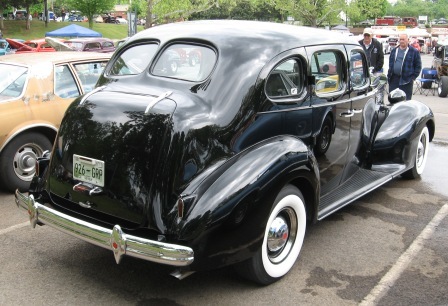 Light gray leather interior with dual Vintage Air heat and air conditioners, Cadillac tilt, telescopic steering column. 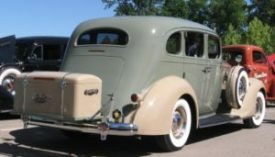 Wide whitewall tires on special fabricated wheels with original hubcaps. $55,000. Contact Bert Barrett at 865-428-7575 or barrett2531@comcast.net. Pigeon Forge, Tennessee. 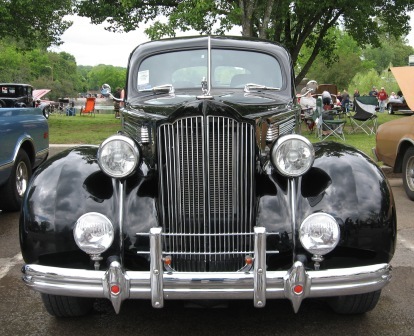 A lady that lives three miles from Harold Gilreath called and wanted him to look at some cars that she needs to sell. Her husband died a few years ago. Harold knew the husband had a Packard, but Harold thought it was a 1939 model. She uncovered the car (it is in the garage) and Harold was surprised. 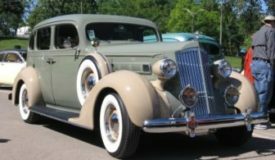 It is a 1934 Packard 4-door, six-wheeler, touring sedan. Paint is in very good shape, but the entire interior is out of the car. The luggage rack is there, and she has the trunk for the rack. All of the wood appeared to be good, even in the doors. There was a small section between the body and frame that will need to be fixed. It is in the driver’s door area. The car was only showing 68,000 miles. The bumpers were off and have already been re-chromed. She has new running boards for the car, but they were too long. Her husband had bought these. The title states it is 1101 series. 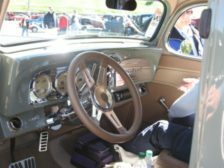 Harold measured the wheelbase (135 inches) and knew this was a 1103 series. That is why the running boards are too long. The soft top needs to be replaced. The lady is asking $21,000 for the car. We are listing her name, city, state and phone numbers. Nearly complete front end for a 1939 110 coupe. Came out of car when it was changed over to a C4 Corvette. Brakes, backing plates, axle, etc. Springs are shot. Local pick up only in Knoxville, TN. Contact Bob Kennard by email: kennardb@knology.net or cell phone: 865-719-1144.